All of our software has been written for personal computers running a Windows Operating System. You can install the software on any Windows OS including Windows XP, 7, 8, 8.1 and 10. It even runs great on a Surface computer. To run this software on an Apple Mac (or Macbook), you have two options: First, you can create a bootable partition using Apple's Bootcamp software where you can install Windows and our software and then boot to that partition. Second, you can install a virtual machine solution such as Parallels which allows you to install Windows and our software as a virtual operating system. This allows you to run our software in an Apple window without rebooting from your Apple session. Before purchasing the software, make sure all your questions are answered by reviewing our frequently asked questions document. 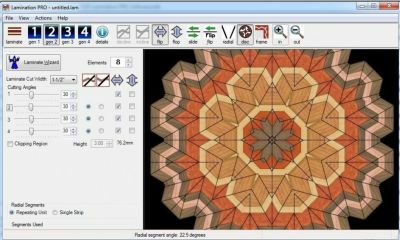 Segment PRO is a radically different method of designing a segmented vessl. Using 3D technology, you simply select a wall profile from more than 100 sample profiles or draw your own and your bowl is instantly created for you as a Painted Segment, Feature Ring or Tornado Bowl in skill levels of Advanced, Intermediate or Novice. Once your bowl has been created, single keystrokes let you change properties of the bowl including segments per row, species, wall width, closed/open segments, etc. 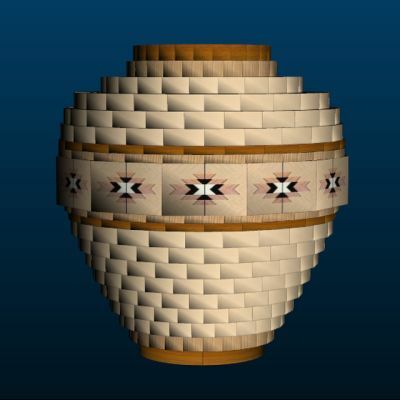 This software has been designed for people with limited computer skills and little experience with creating segmented bowls but has power and features that will meet expectations of professional segmenters. 3D Design PRO is a 2D editor that uses Classic Bezier Curve technology to create a wall profile. That profile is then rendered in a second 3D window. 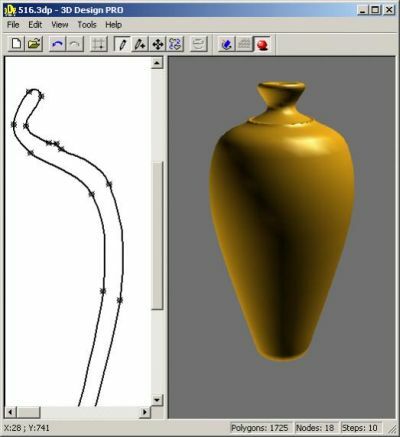 You can create a vessel by either opening one of the nearly 150 samples, start from scratch or import a photo for tracing. 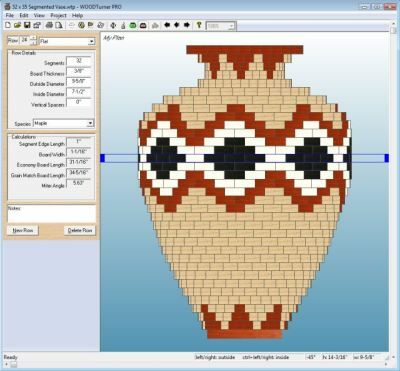 Once you have created your wall profile, you will transfer it to the next piece of software, Woodturner PRO, where you will create the segmenting plan. You can print out a cutting summary to take to the shop that will show you how to make all the segmented rings for your bowl or vessel. Lamination PRO, lets you design and construct multi-generation laminations starting with a laminated board. Whether you make a simple first generation chevron pattern or an amazing 4th generation pattern, the software will allow you to see exactly what it will look like before ever going to the shop. New features include 11-strip laminations, 4th generation, faster and more accurate graphics, and a powerful virtualization engine that lets you be on any generation board and change parameters of any prior generation and immediately see the result.